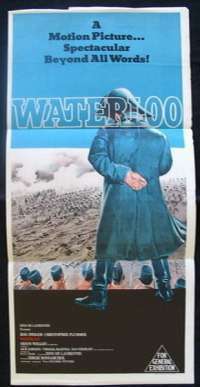 With an acclaimed international cast headed by Rod Steiger,Christopher Plummer and Orson Welles, WATERLOO tells the story of Napoleon Bonaparte - from his abdication and exile, his dramatic escape, his reunion with his devoted troops and Generals to his last, desperate bid for ultimate power and glory. 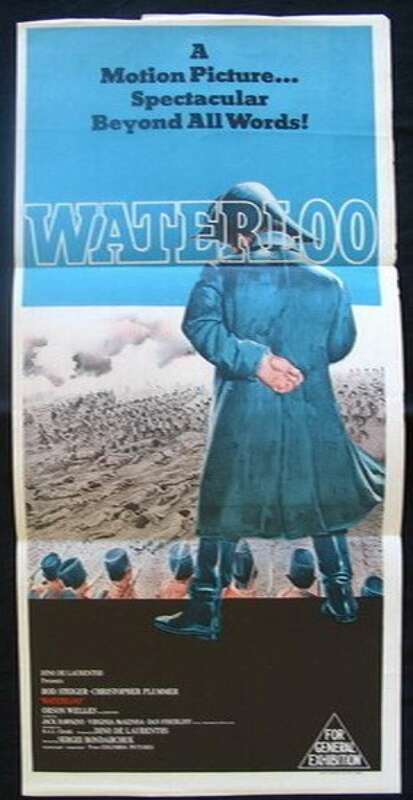 With meticulous attention to detail, outstanding performances and stunning visuals, WATERLOO is a true motion picture epic set against a magnificent backdrop of battle and bloodshed. Edge Wear / Stains: Edge wear on top horizontal cream border, right hand vertical cream border.Spot staining on left hand side 2 inches vertically under the larger letter W.